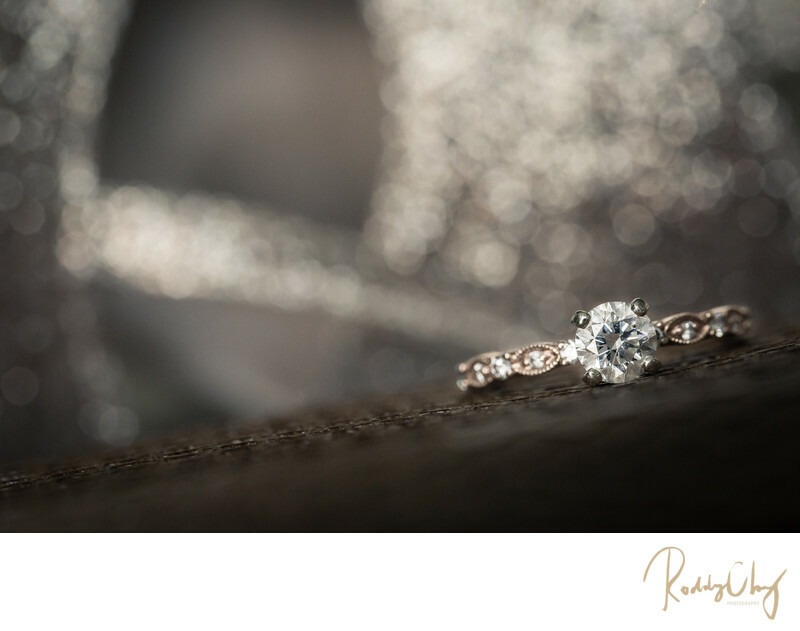 At every wedding, a ring shot is always a must on a photographer's to-do list. It gives the photographer the first opportunity to explore endless possibilities in order to make a sophisticated ring photograph with limited resources. Often times you may see a lot of people just take the pictures of the ring in the bouquet, but that has become the norm and cliche over the past couple years. To be able to use a supporting element in order to bring out the best in an engagement ring takes a lot of practice. I have learned this specific ring shot technique from Susan Stripling, who is a New York wedding photographer, for a few years already. However, it wasn't until Jana's wedding day that I felt like I have finally caught the essence of it. Jana has emphasized how awesome her shoes were several times before the wedding. Therefore, the first thing I did when I arrived at Jana's hotel room was to capture her super awesome shoes! However, I was not satisfied with just photographing her shoes alone. After staring at her shows for a while, I realized I could actually use them as a background for the ring shot. The glitters on her shoes made stunning supporting element as they are sparkling but did not outshine the ring itself. Oh not to mention I had to thank Jana's Bridesmaid for letting me borrow her purse so I can elevate the ring to an appropriate position. It's so simple but certainly elegant. Without a doubt my best ring shot yet.